This is an immensely important case involving the first rejection by an Australian court of a coal mine based, in part, on climate change. In addition to the result, the importance of this case lies in who wrote the judgment and how well it is written. The trial decision was delivered by the Chief Judge of the New South Wales Land and Environment Court, Brian Preston, who is undoubtedly Australia’s leading environmental jurist (and has been for over a decade). be influential for other Australian courts. 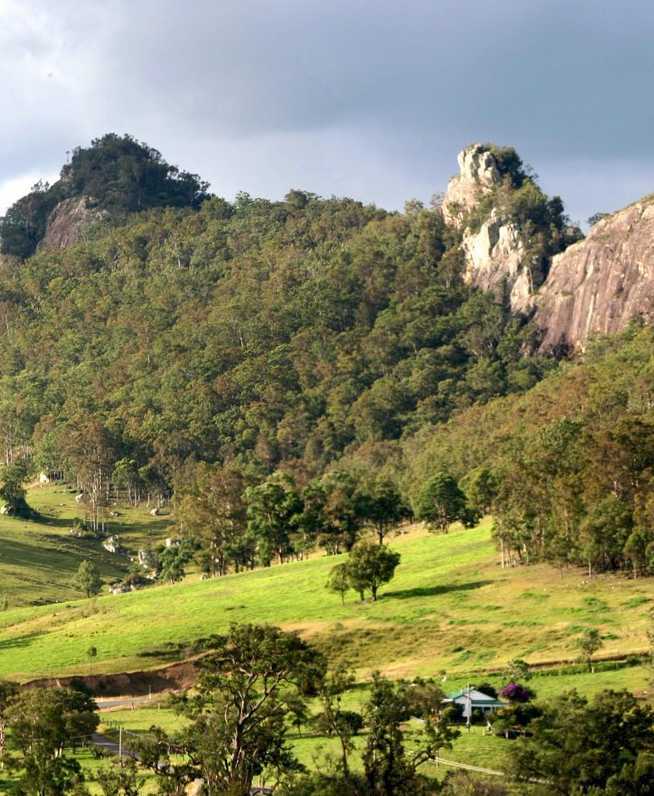 The decision involved an appeal by a mining company, Gloucester Resources Limited (GRL), against refusal in 2017 by the NSW Planning Assessment Commission (PAC) of an application for a coal mine at Rocky Hill in the Gloucester Valley of NSW. The mine was known as the “Rocky Hill Mine Project“. The mine was proposed to be an open cut coal mine producing 21 million tonnes of coal over a period of 16 years. The impacts of the mine on climate change were only raised in the appeal because a community group, Groundswell Gloucester Inc, was permitted to intervene in it. The PAC’s refusal of GRL’s application was based on planning grounds (not including climate change). The ultimate decision, therefore, demonstrates the value of third parties in improving decision-making. Preston CJ ultimately held that the mine should be refused due to its significant and unacceptable planning, visual and social impacts, which cannot be satisfactorily mitigated. This was the principal reason for refusal, to which avoiding GHG emissions and their likely contribution to adverse impacts of climate change merely added a further reason for refusal of the mine. Refusing a mine due to visual and social impacts, while unusual for Australian decision-makers, is not truly groundbreaking. It is Preston CJ’s reasoning on climate change, while not the primary reason for refusing the mine, that is truly groundbreaking. Commencing at , Preston CJ examined the evidence of climate change before the court, international and national decisions, international agreements and Australian climate policies before rejecting a series of arguments by the mining company (GRL). Developing countries might consider that domestic mitigation measures to achieve their nationally determined contributions for reducing GHG emissions should include not approving new development for the exploitation or burning of fossil fuel reserves. Developing countries may be encouraged to take such mitigation measures by developed countries taking the lead in doing so in their countries. Hence, there is no certainty that refusal of consent to the Project will cause a new coal mine in another country to substitute coking coal for the volume lost in the open market by refusal of the Project. Thirdly, the ability of a new coking coal mine in another country to substitute for any volume of coal lost by refusal of the Project will depend on the market, including the demand and supply of substitute sources of coal and any difference in price between coal from the Project and from other substitute sources, which price difference might affect substitutability. Without any evidence about the existence and effect of these market forces on substitutability, no assumption can be made that there would be market substitution by coal from new coal mines in other countries if the Project were to be refused. The [US] Court of Appeals also concluded that “the assumption itself is irrational (i.e. contrary to basic supply and demand principles” (at 1236), holding that “it was an abuse of discretion to rely on an economic assumption, which contradicted basic economic principles, as the basis for distinguishing between the no action alternative and the preferred alternative” (at 1237-1238). New Acland Coal Mine Case (2017-2018). Given this history, Preston CJ’s decision , particularly at -, is immensely important for Australian environmental law and the global fight against climate change as the first Australian court to reject a coal mine based on climate change. In the case of the Rocky Hill Coal Project, the aggregate GHG emissions over the life of the Project are sizeable, although the Project is not one of the largest coal mines in Australia. The Minister noted that the proposed production of the Rocky Hill mine appears to be about a third of the production of the average coal mine in NSW …. Refusal of consent to the Project would prevent a meaningful amount of GHG emissions, although not the greater GHG emissions that would come from refusal of a larger coal mine. However, the better reason for refusal is the Project’s poor environmental and social performance in relative terms. As I have found elsewhere in the judgment, the Project will have significant and unacceptable planning, visual and social impacts, which cannot be satisfactorily mitigated. The Project should be refused for these reasons alone. The GHG emissions of the Project and their likely contribution to adverse impacts on the climate system, environment and people adds a further reason for refusal. Refusal of the Project will not only prevent the unacceptable planning, visual and social impacts, it will also prevent a new source of GHG emissions. I do not consider the justifications advanced by GRL for approving the Project, notwithstanding its GHG emissions, are made out for the reasons I have given earlier. On 8 March 2019 the mining company, GRL, served a Notice of Intention to Appeal the refusal of consent for the proposed coal mine. The filing of the notice gives GRL a further 2 months to consider its position in regard to any appeal (ie. any appeal must be commenced by 8 May 2019). The notice does not stated the grounds on which an appeal may be brought. Preston CJ’s decision is so learned and well written that it is very likely to survive the appeal. GRL can also lodge a revised application to re-start the application process for a slightly different mine on the same location. Amended Rocky Hill Coal Project EIS (August 2016). Decision of the Planning Assessment Commission refusing consent for the mine (14 December 2017). Decision setting aside a subpoena by the appellant for production of Departmental documents on the basis that, as the court was exercising merits review, the views of the Departmental officers regarding the decision appealed from would not assist the Court: Gloucester Resources Limited v Minister for Planning and Environment  NSWLEC 1185 (Registrar Froh) (23 April 2018). Decision joining Groundswell Gloucester Inc as a respondent to the appeal, thereby allowing it to raise (1) unacceptable social impacts on the residents and community of Gloucester; and (2) the impact of the development on greenhouse gases: Gloucester Resources Limited v Minister for Planning and Environment (No 2)  NSWLEC 1200 (Senior Commissioner Dixon) (23 April 2018). EDONSW has a summary of the climate science evidence here. 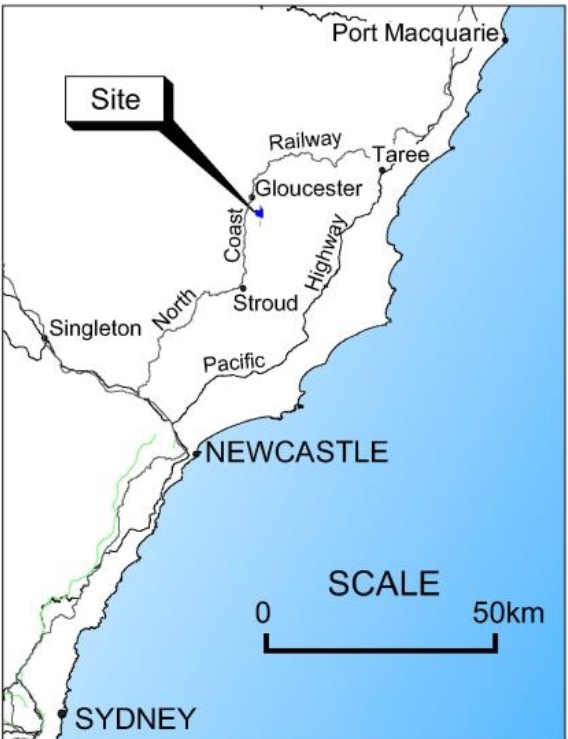 Decision rejecting the coal mine: Gloucester Resources Limited v Minister for Planning  NSWLEC 7 (Preston CJ), 8 February 2019. 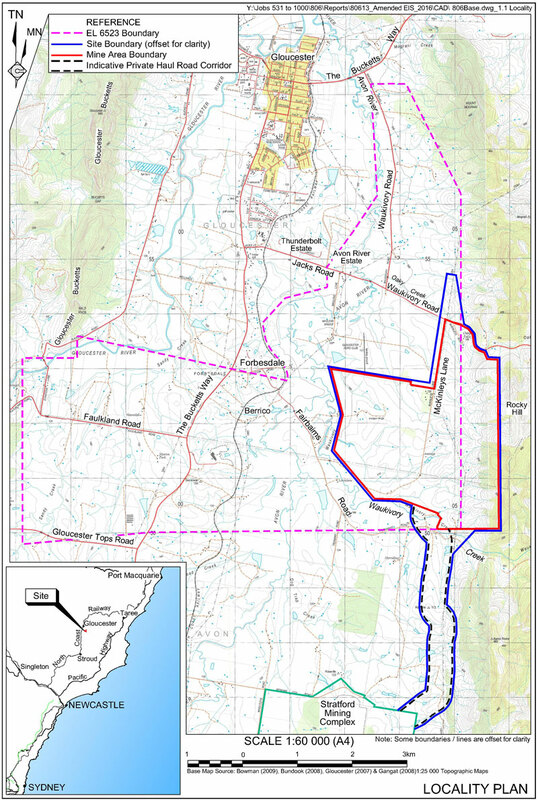 Decision rejecting a related proposal to transport and process the coal from the mine at an existing mine to the south known as the Stratford Mining Complex: Stratford Coal Pty Ltd v Minister for Planning  NSWLEC 8 (Preston CJ), 8 February 2019. Land and Environment Court reserves its judgement in the Rocky Hill coal mine case, The Herald, 6 September 2018. Court rules out Hunter Valley coalmine on climate change grounds, The Guardian, 8 February 2019. 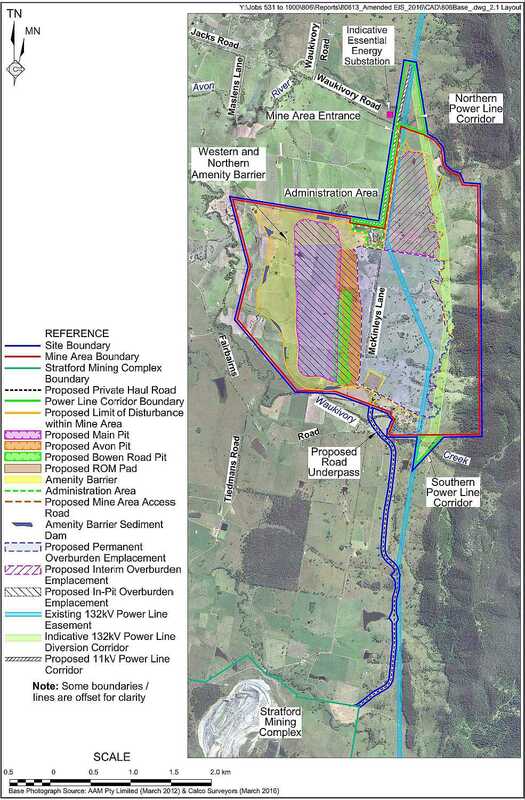 Rocky Hill mine plans quashed in Land and Environment Court, ABC News, 8 February 2019. ‘We won’: Landmark climate ruling as NSW court rejects coal mine, Sydney Morning Herald, 8 February 2019. Landmark legal win for climate and community, Environmental Defenders Office (NSW), 8 February 2019. Australian court bars new coal mine project in landmark win for green lobby, Reuters, 8 February 2019. Landmark decision blocks Gloucester Resources coal mine in NSW, Australian Financial Review, 10 February 2019. ‘Dire consequences’: Court’s mine rejection sets a climate precedent, Sydney Morning Herald, 9 February 2019. Miners must appeal anti-coal landmark court decision, Australian Financial Review, 10 February 2019. The win to stop the Rocky Hill coalmine happened in the right place and just in time, The Guardian, 11 February 2019. Gloucester ruling divides opinion on mining and climate change, Australia’s Mining Monthly, 11 February 2019. Hunter Valley coalmine ruling buoys other anti-mine campaigners, The Guardian, 11 February 2019. Landmark Rocky Hill ruling could pave the way for more courts to choose climate over coal, ABC News, 12 February 2019. ‘We’re collateral damage’: coalmine battle drains Gloucester residents, The Guardian, 17 February 2019 [picture essay]. ‘A mine would kill Gloucester’: residents have their say about Rocky Hill, The Guardian, 17 February 2019.